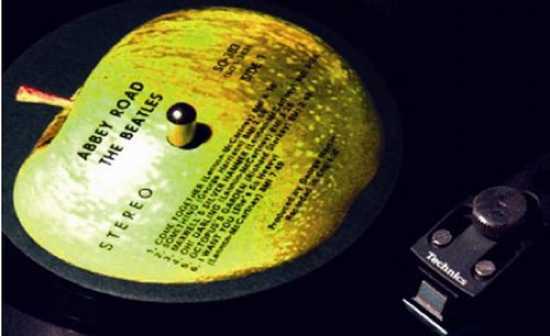 The Beatles certainly didn’t invent the music business, but like Beethoven, they had an undeniable steamroller effect that forced everyone to completely and permanently change nearly everything about the way the industry functioned. These items are not listed in any particular order of importance. Although early jazz artists created short music-film performances of their songs, and Elvis filmed unique settings of his songs that were parts of movies, the Beatles were the pioneers of marrying the two ideas into the concept we now know as the music video – a short, stand-alone film of a musical act presenting a current song that may or not be a live performance. The idea came to the Beatles as a way to ease their ridiculously tight schedule – instead of the band having to make tons of public appearances on TV shows around the world, they could send a video of themselves instead. The first dedicated music video was for the single “Paperback Writer/Rain” in 1966. Prior to 1966, popular musical acts went into the recording studio in order to create a stack of singles. These singles were first released individually by the record company, and then again in a few months as part of a long-playing album. Typically, the band had no input as to which songs went on the album, which order they were presented, or what was used as the cover art – these were all decisions made independent of the band by the record company. However, with the invaluable guidance of their producer, George Martin, the Beatles released the industry’s first concept album, “Sgt. Pepper’s Lonely Hearts Club Band.” The idea behind “Sgt. Pepper” was that the Beatles were playing the part of another band giving a concert in the park, and all of the songs on the album were part of that outdoor affair. None of the songs on that album were initially released as singles – the first time the public heard any part of “Sgt. Pepper” was when the entire album was released in June, 1967. Although the Beatles were highly successful in selling out their early concerts in 1963, 1964, and 1965, they were only playing shows booked in auditoriums, theaters, and amphitheaters that seated anywhere between 1000 and 10,000 ticket-holders. When manager Brian Epstein initially booked the Beatles to play a concert in New York’s Shea Stadium in August, 1965, the idea was considered almost too absurd to consider. 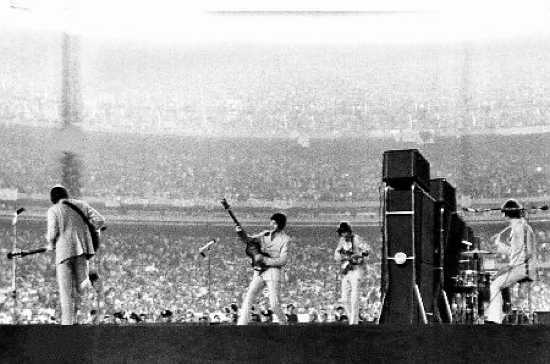 However, the tickets sold out within hours (priced between $4.50 and $5.75), and over 55,000 berserk, screaming fans (mostly teenage girls) packed Shea Stadium for the first-ever stadium rock concert. The Beatles only played 30 minutes, the fans were not allowed onto the infield where the stage was located, and the stadium’s sound system was atrocious for a musical concert, but the night’s gross was over $300,000, which stood as an industry record for many years. This was one of those magnificent ideas where everybody learned more from Beatle mistakes than Beatle successes. In 1966, the Beatles’ recording contract with EMI Records expired, and they re-entered into a 9-year contract with EMI in 1967. The next year, the Beatles decided to form their own record company, Apple Records, and discovered that EMI was not willing to release them. In a complicated series of confusing maneuvers, the Beatles remained with EMI, but signed a separate agreement between EMI’s American subsidiary, Capitol Records, and Apple. The result was that American releases contained the Apple label while British releases did not (at first). In addition to this mess, the Beatles legally hired two different business managers (American Allen Klein and Paul’s new father-in-law Lee Eastman) at Apple, and all contracts between Apple, EMI, and Capitol were revised. Hilarity and lawsuits soon followed, and the Beatles painfully set the standard for what NOT to do when forming your own record company. Although the Beatles did not invent satellite television, they were the highlighted subject of the first ever live global satellite television broadcast in June, 1967. The TV program was called “Our World,” and it featured the contributions of artists and citizens of 19 different nations. Using four different orbiting satellites, the program was able to be broadcast live to anyone interested in receiving the signal anywhere in the world, and the Beatles performed an in-studio live version of “All You Need Is Love,” which was specially written by John for the broadcast, to close out the program. Although many different musical acts hold variously scattered chart-topping marketing successes, no specific artist has ever come close to the nearly inexplicable global phenomenon the Beatles enjoyed in the Spring of 1964. On March 21, the Beatles held #1, #2, and #3 in Billboard’s Hot 100 (for a total of seven songs in that week’s poll). On March 28, they held #1, #2, #3, and #4 (ten songs in all) in that week’s Billboard Hot 100. On April 4, they staggeringly held #1, #2, #3, #4, AND #5 (for a total of twelve songs) in the Billboard Hot 100. On April 11, the Beatles added two more songs to the Billboard Hot 100 (fourteen in all). During this same time frame, they were also snagging most of the album and singles Top Ten lists in the UK, Canada, and Australia. This item could almost be a separate list in and of itself. The Beatles (and their recording engineers) either pioneered or popularized Artificial Double Tracking (ADT), back masking, tuned feedback, spliced audio loops, distortion, equalization, stereo effects, multi-tracking (overdubbing), compression, phase shifting, and innovative “microphoning.” Although the Beatles are not credited with the invention of most of these studio tricks, they were responsible for directly inspiring countless musical acts that were desperate to copy their unique sounds. 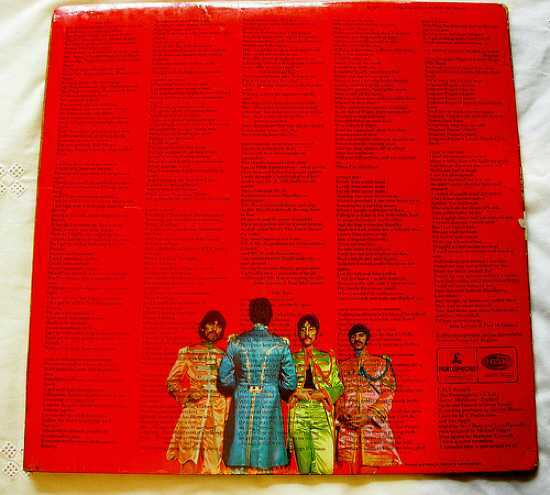 The first pop album to feature actual printed lyrics on the album was the Beatles’ 1967 epic release “Sgt. Pepper’s Lonely Hearts Club Band.” Soon, it would be considered non-standard to not do so. 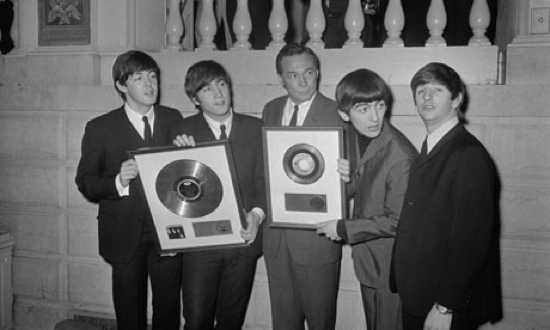 The typical music industry standard recording contract of the 1960s required a band to record and release enough singles for a company to release at least one album per year, and the Beatles went way above and beyond the call of duty (they released two albums per year in every year with EMI Records except 1966). Another aspect of the standard recording contract required a band to give a prescribed number of public concerts as a highly effective means to promote and sell the band’s singles and albums. 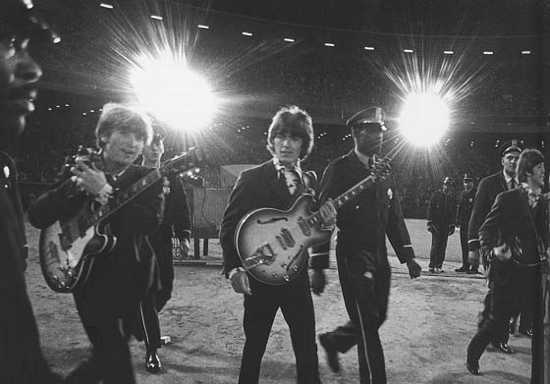 However, in August, 1966, at Candlestick Park in San Francisco, the Beatles played their last public concert after over six years of extended touring. The decision for the Beatles (or any band, for that matter) to end touring was a breathtakingly landmark decision, and theirs was based on multiple factors, such as exhaustion, inability to perform newest songs in a live format, inability to hear themselves onstage, wandering musical focus, safety concerns following death threats and boycotts, and boredom. The Beatles would only make one more public musical appearance, and it would come in January, 1969 in the form of an impromptu semi-private concert on the rooftop of their London studios. By 1968, the American radio dial preferred to have music on AM and talk radio on FM, and most AM stations played music in a three-minute single format. This meant that any singles significantly longer or shorter than three minutes were ignored by AM stations, because it would wreck their repetitive hourly format to play it. When the Beatles released “Hey Jude” as a single in August, 1968, it was nearly 7 1/2 minutes long, and AM stations simply chopped off the song at the 3:00 mark, which denied listeners the chance to hear their favorite part – “Na na na nanananaaa.” At KSAN-FM in San Francisco, radio pioneer Tom Donahue used the promise of a whole “Hey Jude” single coupled with other innovative ideas (commercial-free blocks of music, playing whole album sides at a time, etc.) as a means to lure listeners away from local AM stations to his uniquely programmed FM station, and the idea eventually snowballed across the country. Within ten years, American radio stations had almost completely switched places, and put music on FM and talk radio on AM.